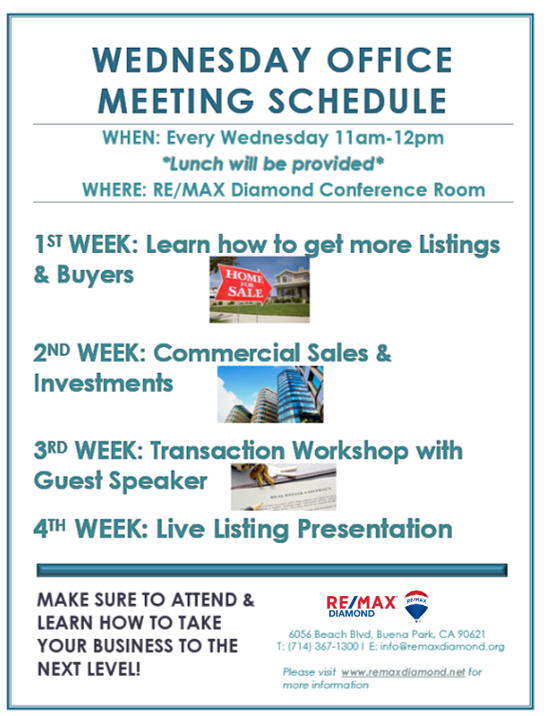 We will be having Money Monday in our office every Monday from 8:30 AM to 11:30 AM. Money Monday will be for you to dedicate 3 hours strictly on phone prospecting and finding motivated clients. Please bring your own phone numbers. Every Friday from 2PM to 5PM, Pair up with another agent and go door knocking together. What better way of mastering your door knocking skills than practicing with someone who can teach you something new? 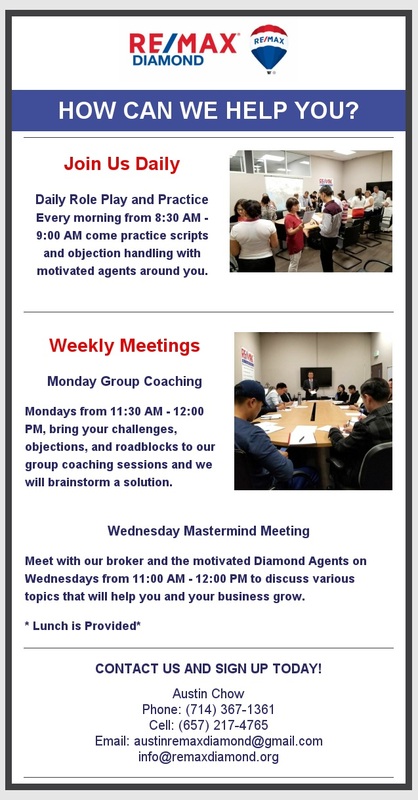 The first Saturday of each month, we will be having Ultimate Prospecting Day from 8:30 AM to 11:30 AM. Similar to Money Monday, Ultimate Prospecting Saturdays will give you a chance to dedicate your time on phone prospecting. Prospecting on Saturdays will give you a chance to contact all of the motivated clients that are home for the weekends. Please bring your own phone numbers. We hope these events work in your favor and you see the most profitable results!